SNOW, JOHN ALLAN, surveyor; b. 31 March 1824 in Hull Township, Lower Canada, son of John Snow, a wheelwright; m. in 1851 Emma Catherine Bradley, and they had at least four sons and three daughters; d. 13 April 1888 in Ottawa, Ont. After completing his education at the St Lawrence Academy at Potsdam, N.Y., John Allan Snow returned to Canada where he trained as a surveyor under Lindsay Alexander Russell. On 11 Sept. 1847 he was made a deputy provincial surveyor. 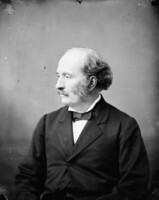 Between 1847 and 1865 he laid out a number of township boundaries in the counties of Renfrew, Lanark, Carleton, Frontenac, and Hastings, and in the district of Muskoka. He also supervised the construction of colonization roads, including, in 1866, the Monck Road between Lake Couchiching and the Hastings Road. 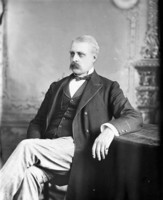 This experience may have played a part in his being chosen two years later by William McDougall*, the Canadian minister of public works, to superintend the construction of a road from the Lake of the Woods to Upper Fort Garry (Winnipeg) on the route recommended a decade earlier by Simon James Dawson*. The immediate purpose of this project was to provide employment “to the distressed population” of the Red River Settlement and to “alleviate their sufferings” brought on by an almost complete crop failure. The long-range goal was to satisfy the demands of Canadian expansionists for better communication with the west. On 27 Oct. 1868 Snow and Charles Mair*, the paymaster of the project, arrived at Upper Fort Garry from Chicago and St Paul (Minn.) with 18 tons of provisions. In accordance with his instructions, Snow, accompanied by Mair and Dr John Christian Schultz*, called on Governor William Mactavish* of the Hudson’s Bay Company, who assured them that there was not the least objection to work beginning on the road. 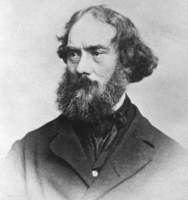 Mactavish felt that the project would bring some relief to the indigent settlers, and in any case he had not received instructions from London. In London, however, the governor and committee of the HBC protested the work “being undertaken by the Canadian government as a matter of right, as though the territory through which it is to pass were Canadian.” At the same time they stated that no impediment would be offered and claimed that they had already taken measures for the relief of the settlement before the grant for the road was made. Snow was disappointed at the lack of response to his call for men and found that despite the scarcity of provisions in the Red River Settlement those engaged wanted their wages partly in cash or clothing rather than entirely in provisions. He did, however, hire 40 men and work began on 9 Nov. 1868. They had cleared 28 miles of track by 1 April 1869 when the project closed down for lack of funds; on 16 March Snow departed for Ottawa to consult with the Department of Public Works, leaving Mair at Red River. Snow returned on 6 July with funds to resume operations, but he found that labourers were “extremely scarce in the settlement, caused by the unusual demand, for agricultural purposes” and because men had already been employed by the HBC. Work continued on the road in 1869, Snow having to hire a large number of men from the “Scotch settlement” in Red River; he found them “quiet and well disposed people.” But in October he reported a great deal of excitement among “the Canadian half-breed population.” He suggested that a force of two or three hundred men would be needed to preserve order in the settlement, and in December he urged the intervention of Bishop Alexandre-Antonin Taché* and Governor Mactavish “to effect an amicable arrangement between Canada and the disaffected people.” On 7 Dec. 1869 William McDougall, now lieutenant governor designate of the North-West Territories, called a halt to all work on the road and Snow left the settlement on 6 Jan. 1870. Snow is representative of that vanguard of Canadians who provoked resistance in the Red River Settlement to Canada’s westward expansion. The presence of his road-building party and of the survey crews under John Stoughton Dennis were, at the time and later, considered to be partly responsible for the Red River rebellion. A select committee of the House of Commons inquiring in 1874 into the causes of the difficulties heard testimony about the road-building party. 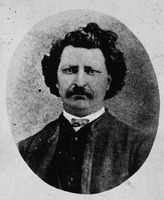 It was stated that rumours of misconduct by Snow’s party were widely circulated and pretty generally believed among the Métis; according to settler Thomas Bunn*, they “tended to promote a feeling of suspicion and dislike of Canadians.” Alexander Begg* had noted in his diary in 1869, for example, that Snow was accused of taking advantage of the unfortunate settlers by paying them starvation wages. This charge was, however, exaggerated, for the average wages of these labourers were as high as, and in some cases higher than, those paid workers on the road being built by Simon James Dawson from Lake Superior to the Lake of the Woods. Witnesses called by the committee complained that workers were forced to purchase provisions at inflated prices at a store believed to belong to Schultz. It was also said that some of the men who came with Snow from Ontario displayed contempt for the HBC and the settlers. Mair’s letters to his brother while on the road party, published in Ontario newspapers, were considered insulting to the mixed-bloods and Mair had indeed been physically attacked by Annie, wife of postmaster Andrew Graham Ballenden Bannatyne. The committee was told that Indians were sold liquor illegally by Snow, and he had in fact been convicted on this charge and fined £10. More disturbing to the Métis was the fear of being dispossessed of their lands. Rumours persisted of road builders purchasing from Indians lands which the Métis thought were theirs. Abbé Georges Dugas, for instance, had complained to Bishop Taché in August 1869 about “gangs of adventurers” who “spread disorder among our people and seemed to be busier picking out land than working on the road.” There was some truth to this charge. John Stoughton Dennis testified to the committee that Snow and Schultz had staked out and bought lands from the Indians at Oak Point (Sainte-Anne, Man. ); Dennis had subsequently told Schultz that the Canadian government would not recognize such purchases. On his return to Ontario, Snow worked for the Quebec, Montreal, Ottawa and Occidental Railway Company. 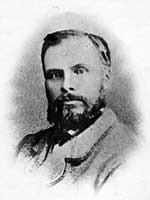 In 1875 he was employed as the city engineer for Hull and he laid out the boundaries of the newly incorporated city. Two years later Snow returned to the west to survey subdivisions in the region south of Winnipeg and between 1880 and 1883 he surveyed various parts of the prairies and British Columbia. 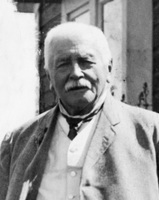 In 1886 he went back to general engineering and survey work. He died of pneumonia in Ottawa in 1888. PAC, RG 11, B1(a), 265, doc. 4698, 4707, 4792, 4811, 5294, 6026; B1(b), 652, subject 429, docs. 3189, 3231, 3233, 3234. Begg, Red River journal (Morton). Can., House of Commons, Journals, 1874, app.6; Parl., Sessional papers, 1869, V, no.25; 1870, V, no.12; 1895, IX, no.13, pt.vi. Muskoka and Haliburton, 1615–1875: a collection of documents, ed. F. B. Murray (Toronto, 1963). Ottawa Daily Citizen, 14 April 1888. Ottawa Evening Journal, 14 April 1888. R. St G. Stubbs, Four recorders of Rupert’s Land; a brief survey of the Hudson’s Bay Company courts of Rupert’s Land (Winnipeg, 1967). D. W. Thomson, Men and meridians; the history of surveying and mapping in Canada (3v., Ottawa, 1966–69). “John Allan Snow,” Assoc. of Ontario Land Surveyors, Annual report (Toronto), 34 (1919): 82–83. Hartwell Bowsfield, “SNOW, JOHN ALLAN,” in Dictionary of Canadian Biography, vol. 11, University of Toronto/Université Laval, 2003–, accessed April 22, 2019, http://www.biographi.ca/en/bio/snow_john_allan_11E.html.